Funded by Standard Chartered Bank, UK, in partnership with Naz Foundation, N.Delhi – GOAL is a Standard Chartered Bank, U.K. Initiative, which is executed by the Naz Foundation in New Delhi. It has been successfully running for 7 years in Delhi, and 4 years now, in Mumbai. Naz Foundation has partnered with Nalamdana to roll out this project in public schools and communities, in Chennai since 2010 January. This project uses Netball to empower girls from challenged backgrounds – local schools and communities. Netball is similar in many ways to basketball, but with restrictions for each player, making team play and communication crucial to being able to score. Girls are taught Netball alongside special sessions involving life skills. These modules cover self image, health and hygiene, communication and leadership skills, and financial literacy. Promising players are encouraged to perform and play for their districts and maybe even on state or national teams. Those who show leadership skills and other talents are linked with opportunities and skills building workshops to facilitate further education and job opportunities. 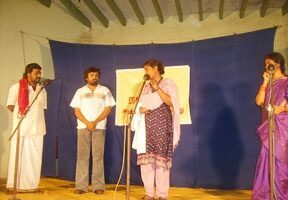 Bama Jayabalan from Nalamdana coordinates this program for Chennai. In 2012, Prem Kumar who has coached for netball at the State level, has been appointed as Senior Coach. 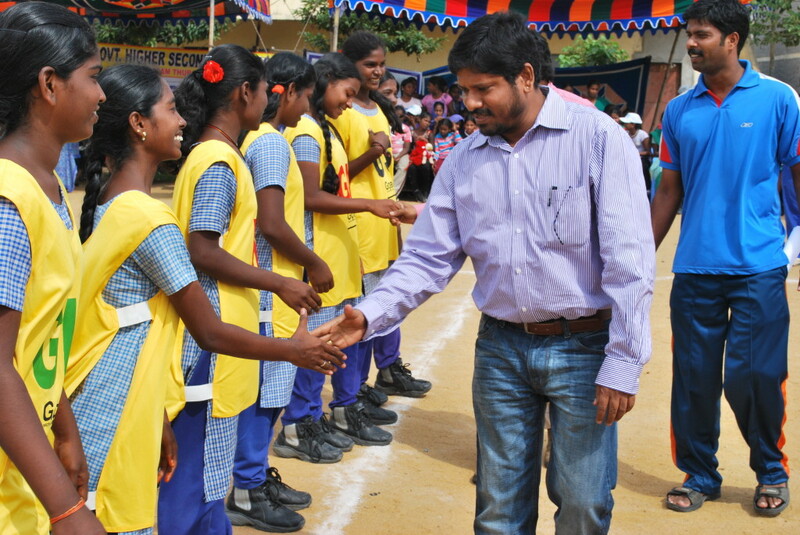 He is assisted by M.Kavitha, who is herself a netball player at the state level. Other than the three of them, there are two part time staff on the program. In 2010 around 120 girls graduated the program. In 2011, close to 260 girls completed the basic program, while another 35 girls from the first year’s batch went on to implement the peer education module of the program as Goal Thozhis, and another 15 Goal Champions worked as assistants, and 35 Goal Stars assisted the coaches. The numbers and the number of sites have increased even more in 2012, with one of the Goal Chmpions from year two, coming in as part time staff and 4 of the other Champions and Stars being put into job oriented courses.